We are starting to get connected in ways that we never thought possible. Technology takes us forward in ways that makes each stride seem like significant milestones that leave you wondering how you ever managed to survive before that point! We have moved to a time when refrigerators don’t just store food at optimal temperatures, they tell you when you are out of eggs, or if the milk has gone bad, or what you can cook with what’s inside the fridge, or tell the rest of the family that you will be late for dinner, keep tabs on your fitness band on your wrist, open the garage just as your car turns into your driveway, turn the sprinklers on, set the temperature in the living room and turn on the outside lights when it starts to get dark! Welcome to the Age of the Internet of Things. One would think that this would be a dream come true. It is – to the minds that planned and executed the connection between various devices, to the manufacturers of those connected devices and to some consumers who think of these devices more as trophies than as useful additions to his life. Right now, the reach is not all that wide. Some people own cameras that connect to the internet. Some own connected cars. Smart watches. Now fitness trackers are all the rage. And many young people own those. But that seems to be it. But why are connected devices and the Internet of Things slow in taking off? Many people see these devices as expensive toys. No real value add. They don’t understand how these can make the quality of their lives better. Unless there is a real awareness drive – to make people recognize how much better their lives would be if, if they used intelligent and connected devices, this won’t really work. There are those who don’t even know about these gadgets. There are people who seem to live in an alternate universe, who don’t even know that such things exist. Or that they can vastly improve the quality of their lives using technology. There are those who don’t really know what device to get? What thingamajig can add value to their lives? 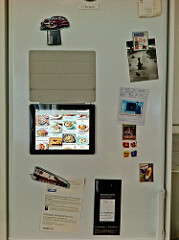 The price is not right… At least not yet … A smart fridge would cost about 5000 USD where a regular one is much cheaper. Why would anyone want to pay 3 times the cost of a regular gadget to get something that, to most people, is just a fancy toy that will keep them entertained when they are bored? And then there is this whole business about the privacy of it all – all of these devices work on data. Highly personal data of different individuals who connect to it. Why would you want information about yourself to end up in the hands of a business? Or worse still, what if someone hacks into the system and has access to all kinds of private information about you? These are some of the concerns that need to be addressed, hurdles that need to be crossed, if the market for connected devices should grow and expand.